Based in London, Tomob Global MS was founded by Minister Thomas some years after he began his speaking career. Companies from around the world have contacted us to enquire about our services, and these include public speaking, disability ministry, and excellent training. Thomas has provided speaking services for more than 30 years, and he loves to share his experiences with audiences across the UK and World-wide. Call us today to book his services for your next event. 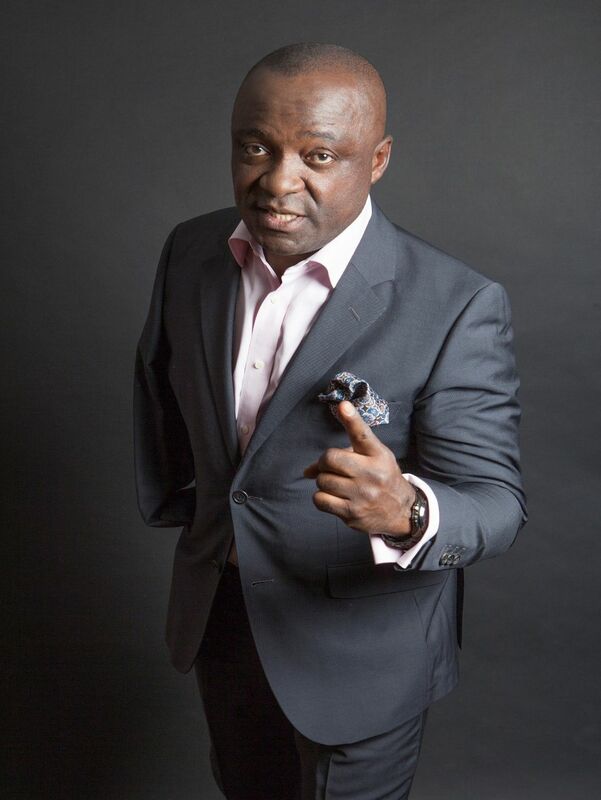 Thomas Charles Obeng is a recognised international inspirational speaker, a disability minister, and an activist. He is the brain behind Tomob Global MS, Tomobglobal Foundation, and the Faith Abilities Ministries. When you meet Thomas, you quickly understand that his experiences have transformed many lives. As a victim of traffic accident which resulted in the amputation of his right hand at the shoulder level, he once struggled through life, living from the back of the queue. He wanted to achieve life through higher education and fear for God. Overcoming disability and shyness in his difficult journey has strengthened him, and he has developed perseverance and fearlessness in presenting himself in public. People value his optimism and fail to look at his childhood disability. Thomas shares stories about inspiration, diversity, inclusion, disability issues, and independence. He talks candidly about the personal transformations he has undergone with humour, while demonstrating the core values of his message. Audience members see their new potential and realise the value of taking an innovative approach to their personal, social, and business challenges. Inspirational talks are his most requested service. 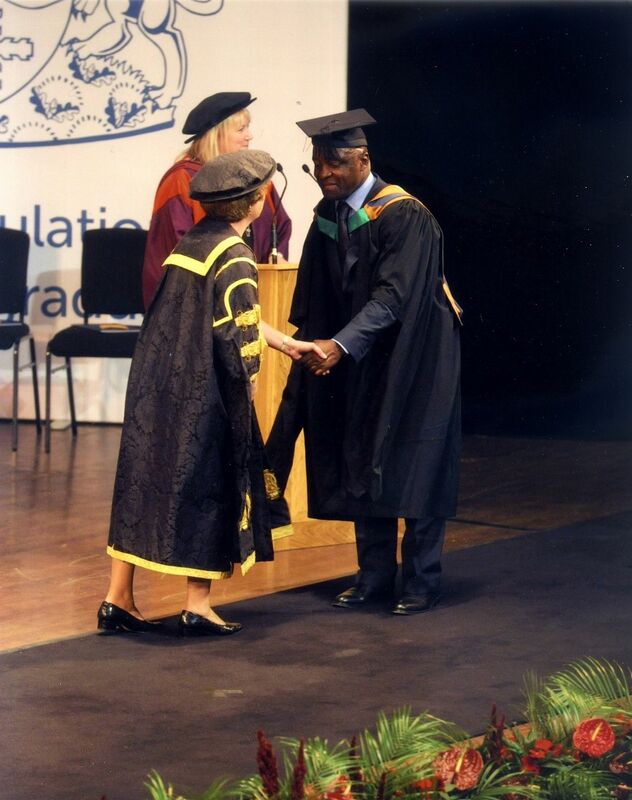 Minister Thomas greeting the Vice Chancellor of Nottingham Trent University on his graduation for the Master of Laws (LLM Oil, Gas and Mining). Minister Thomas Charles Obeng did not allow his physical Disability to deter him from climbing higher academically. He is a professional Investment Banker in the area of Financial Law, Regulation and Compliance, and an expert in Oil, Gas and Mining Laws and Regulation. He has a Bachelor of Arts (BA Hons) Honours Degree in Political Science and Philosophy from the University of Ghana, Legon. A Master of Science (MS) Degree in Business Information Management (Business Intelligence) from the University of Brussels, Belgium. A Postgraduate Diploma in Law from London South Bank University and a Master of Laws (LLM in Oil, Gas and Mining) from Nottingham Trent University Law School. He acquired the Chartered Associate of the Chartered Institute of Bankers from the Institute of Financial Service (IFS) University College and also a Member of the Chartered Securities and Investment Institute (MCSI), London. He is currently working towards his Legal Profession as a Solicitor, Human Rights and Disability Lawyer, Advocate and Campaigner. He speaks German and French. Training, Executive Development, Executive Coaching, Personal Development, and Workshops. Minister Thomas speaking on ‘Entrepreneurship, Leadership, Diversity, Equality at Workplaces’ at the University of Dusseldorf, Dusseldorf, Germany. Minister Thomas speaking on ‘Entrepreneurship, Diversity, Equality at Workplaces’ at the University of Dusseldorf, Dusseldorf, Germany. To learn more about our public speaking services, contact us today.